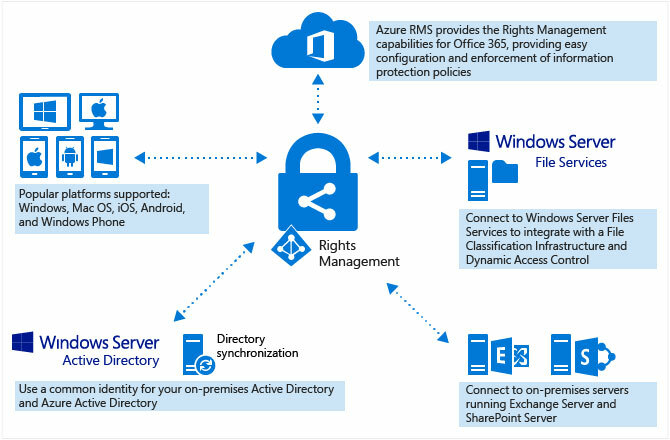 Microsoft Azure Rights Management provides a comprehensive policy-based enterprise solution to help protect your valuable information, no matter whom you share it with. For $2.00 per user per month, you get Information Rights Management capabilities such as Do Not Forward and Company Confidential, as well as Office 365 Message Encryption, which allows you send encrypted emails to anyone! Both Information Rights Management and Office 365 Message Encryption are policy based and designed to work with the Exchange transport rule engine. That means Microsoft Azure Rights Management allows you to set up complex policy restrictions easily, with just a single action. Deliver confidential business communications with enhanced security, allowing users to send and receive encrypted email as easily as regular email directly from their desktops. Safely share files in email or Microsoft OneDrive, independent of which mail service the recipient uses. Grow your organization’s brand by enhancing the contents of the mail and your users’ experience with your custom logo or disclaimer. Strong integration with Exchange transport rules allows you to set up encryption/decryption using a single action. 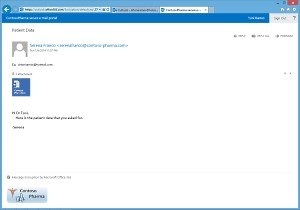 The clean Office 365 user interface makes it easier to read, review, respond to encrypted mail. Help protect the entire conversation by encrypting an entire email thread without requiring any service subscription for recipients. 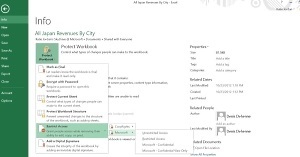 Help protect data across different workloads such as SharePoint, Exchange, and Office documents by easily applying Information Rights Management to set up policy-based permissions rules. Help protect emails against unauthorized access by applying different IRM options to your email messages. 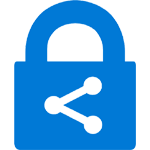 Enhance security of your SharePoint libraries by using IRM to set up appropriate permissions. Help keep your information safe, online or offline, because your files are protected whether they’re viewed using Office Online or downloaded to a local machine. Seamless integration with all Office documents helps guard your organization’s intellectual property. Apply custom templates based on your business needs in addition to using default Rights Management Services templates.